Restaurant 101: The Kitchen opens @ 5…. All those salad fixin’s and garnishes don’t chop themselves, alas…. That’s half an hour away, surely you could get a salad or something, right? Not always. Here’s why: Sidework. 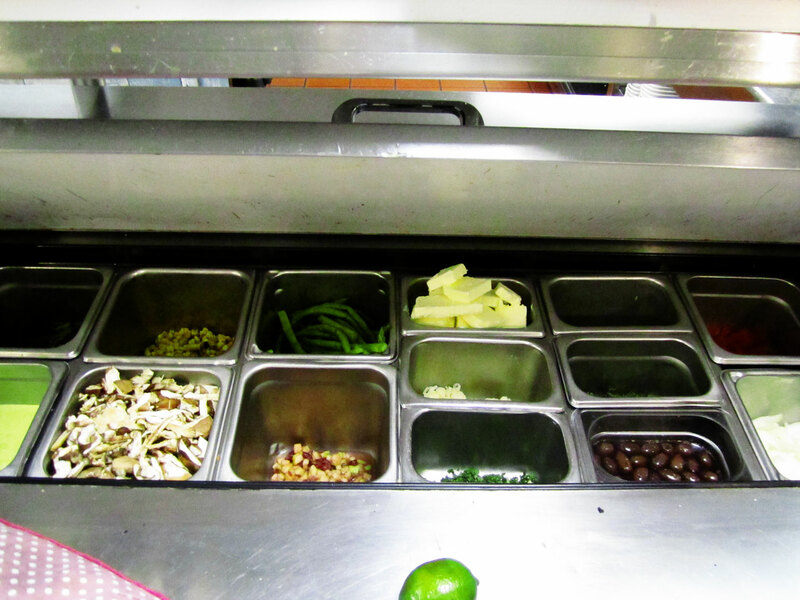 In order to prepare for service, the stations in the kitchen have to be set up. Between lunch and dinner service the guard is changing in the kitchen, everything is being deep cleaned by the lunch cooks, and the dinner cooks have to set everything up from scratch. And that entails quite a bit of work behind the scenes. The salad station actually requires some of the greatest attention, as uncooked vegetables are the items most prone to food-borne illness. 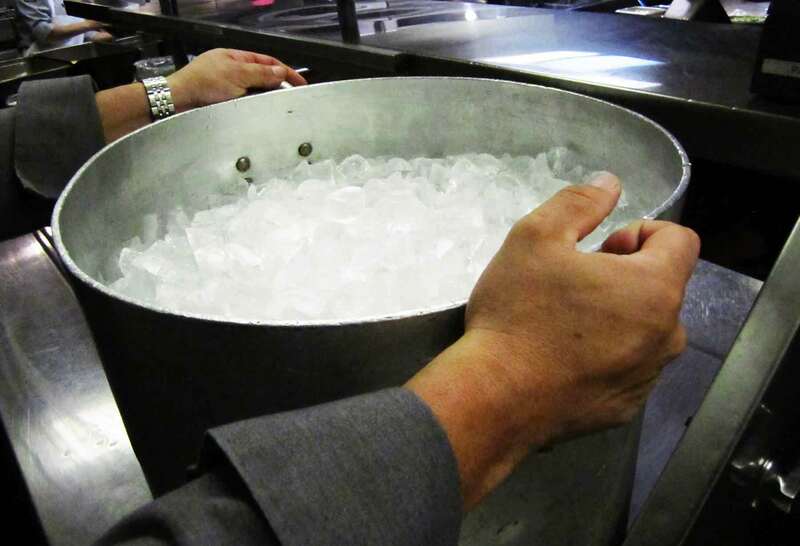 Every item must be prepared, checked for temperature, and an ice bath set up in order to maintain all items at temperatures below 41 degrees Fahrenheit. 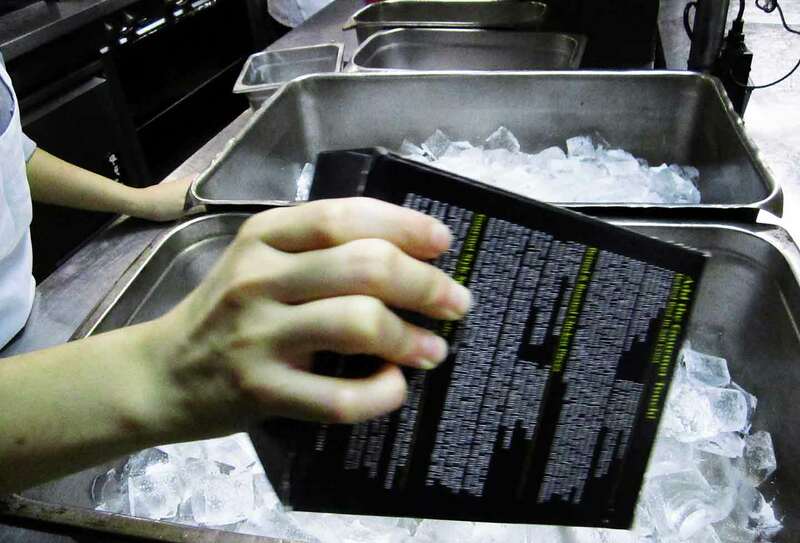 how hard it is to put together a salad, there are line cooks in the kitchen carting fifty pound bins of ice, calibrating thermometers, chilling salad plates, warming plates for entrees, and making sure they have all their garnishes and fussy things prepared. Once dinner service starts, they’re not going to have much downtime, if any, to catch up. 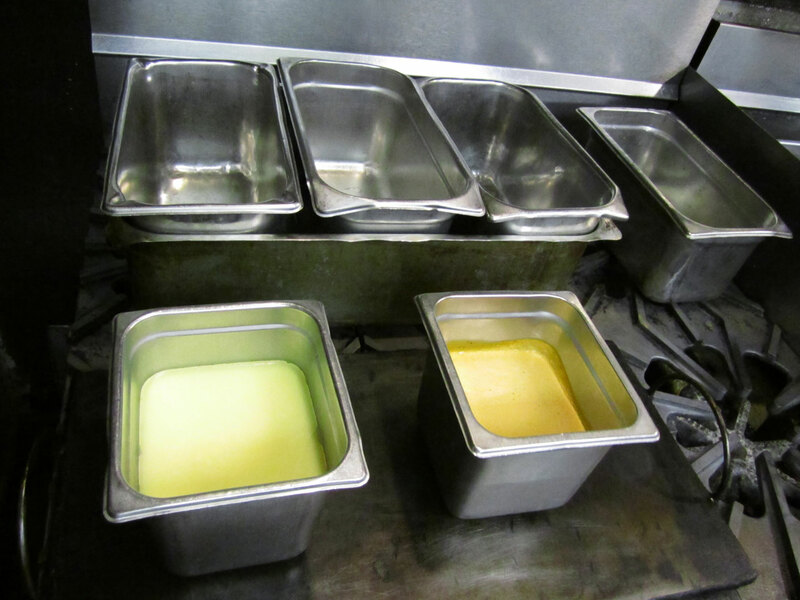 Sauces for hot items need to be prepared, and set up in a bain marie (hot water bath) so they are easily accessible during service, and remain at a temperature above 140 degrees F.
There are a lot of details for them to attend to before the Sidework Ends, and Service Begins. Done my share of sidework!